* 2. Tell us your choice for Young Agent of the Year. * 3. In a few sentences, please describe why you believe this candidate should be awarded Young Agent of The Year by MAIA's Young Agent Committee. 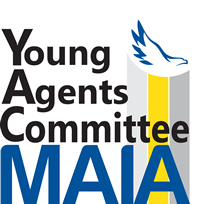 Award Criteria: YAC of the Year candidates should be a current MAIA Young Agent (under the age of 40 or in the business less than 5 years), who has demonstrated a commitment to the industry and their insurance education, by going above and beyond in their agency and community.